Looking For Self Help Book? 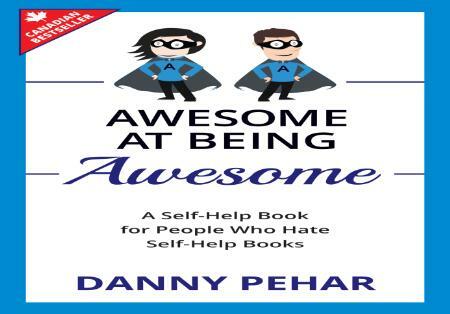 Awesome at Being Awesome is a nationally best-selling self-help book for people who hate self-help books. This inspirational novel covers a wide range of topics, from weight management, to career management, from saving money, to saving relationships, from building the perfect resume, to building the perfect speech, from getting through the toughest job interview, to getting through the toughest day. Taking a very practical and modern approach to the ancient philosophy of balancing mind, body and soul, you will learn to balance your life and cut out everything you don’t need. You will learn to do an awesome amount of awesome things and how to do them awesomely.